Apple’s latest release, the iPhone X, has seen it do away with the very successful Touch ID fingerprint scanner. This was done in order to install the edge to edge bezel less screen that we are all now very familiar with. In addition to this, this change also heralded the inception of the 3D facial recognition feature that is known as Face ID. Apple has gone on record to state that it is very secure, not only to unlock the handset but even to make payments through services like Apple Pay. 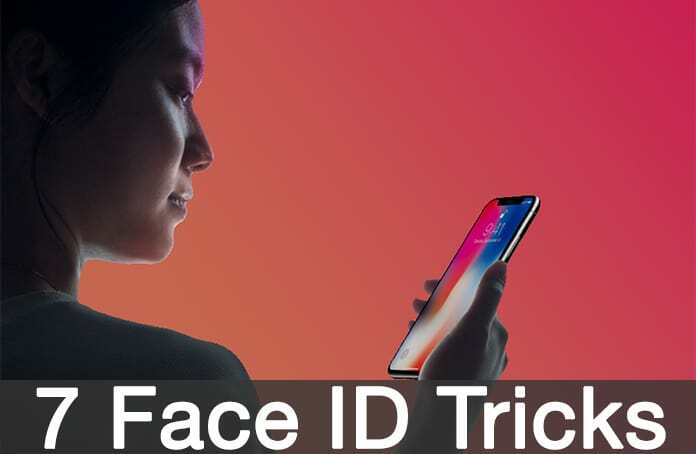 In this post, we will show you 7 Face ID tricks for iPhone X. As already mentioned above, the greatest concern that people had with Face ID was the fact that it may be on the slow side. To be specific, it is nearly a whole second slower than Face ID and this can get annoying really quickly for a sizeable number of consumers. However, the great thing is that it is possible to actually improve the speed of this process by disabling ‘Require Attention for Face iD’ on the iOS device. 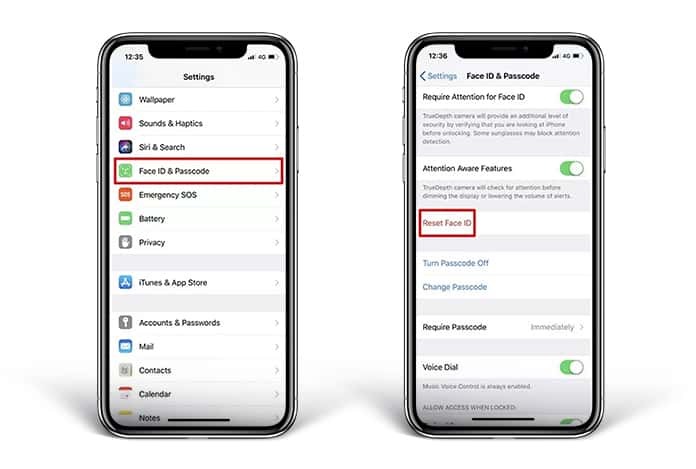 To accomplish this just go to Settings -> Face ID & Passcode -> Require Attention for Face ID and move the slider to grey. One drawback is that while it increases the speed of unlocking it also compromises on security. So, be careful when you decide to use this feature. Now, the phone will unlock even if you aren’t looking at the phone and even if your eyes are closed. The fastest way to unlock the iPhone X is just to swipe up as soon as the screen turns on, without having to wait for the lock icon to appear. What this will do is allow you to just slide up to unlock and while that is going on, Face ID will be studying your face to unlock the device in the background. This is a great feature for the Face ID. Normally if you get notifications you can’t preview them until and unless you unlock the device first. This can be really annoying since you will have to go through a lengthy process just to preview your notifications. Luckily going to Settings -> Notifications -> Show Previews and setting the slider to ‘When Unlocked’ will help. 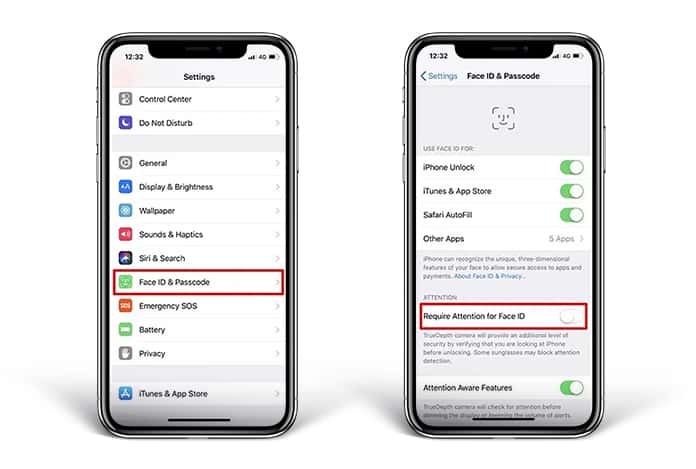 It will make things much easier in the sense that simply looking at the iPhone will cause Face ID to detect your face and the previews will show, all without doing anything to the phone. Face ID also introduced a really cool new feature called ‘Attention Aware’ and it is really useful, all the more so when waking up in the morning. The TrueDepth camera system checks for your attention before dimming the display or lowering the alert volume. What this means is that when the alarm rings early in the morning, it will sense when you are looking at the device and automatically lower its volume. 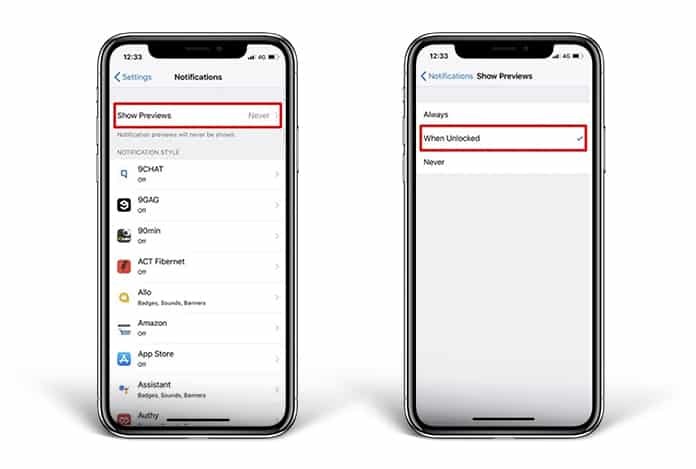 It is really reliable and can be enabled or disabled at your discretion by going to Settings -> Face ID & Passcode -> Attention Aware Features and slide the toggle. 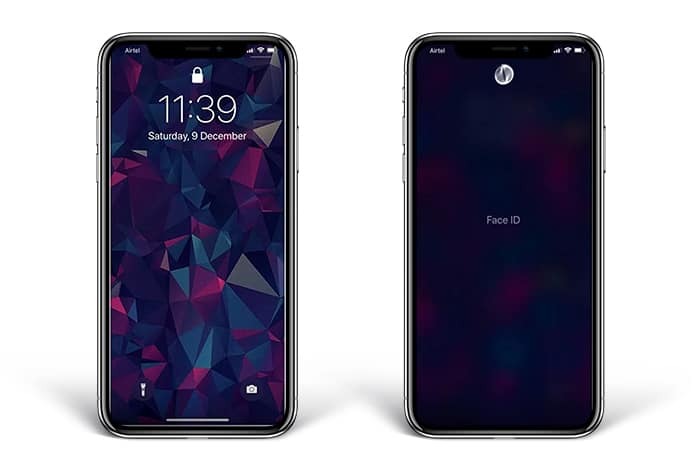 Face ID has functionality beyond simple unlocking and as already mentioned, is secure enough to even carry out transactions on the App Store or on Apple Pay. With Face ID enabled it is possible to completely bypass entering your Apple ID and password when making a purchase. Simply looking at the iPhone will allow you to purchase something. 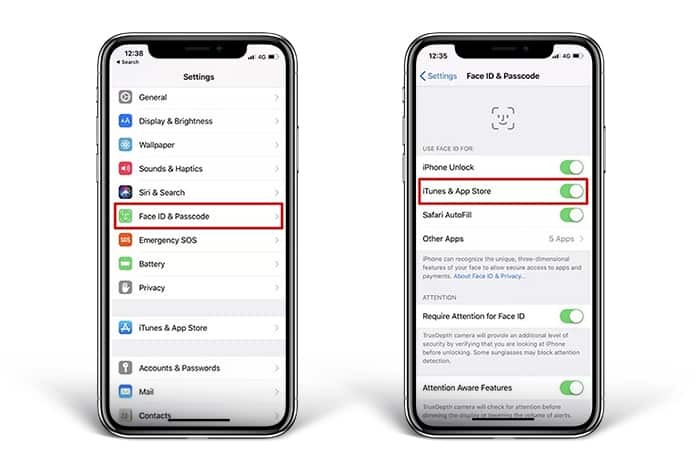 The ability to use Face ID for iTunes and App Store purchases is off by default but it can be enabled by going to Settings -> Face ID & Passcode -> iTunes & App Store and toggling it on. When purchasing and then using a brand new device it is entirely okay to be a little awkward and unsure around the different options and settings. So, if you bought the iPhone X and had a horrid time setting things up and messed up the scan for your Face ID, the results can be a little annoying. It might be possible that Face ID doesn’t work as it should and can’t recognize your face at certain angles. The best way to combat this is to completely remove Face ID from the iPhone X and make it scan your face again. Now you will have the opportunity to have your face scanned all over again and hopefully in a manner that is satisfactory. To do this all you need to do is go to Settings -> Face ID & Passcode -> Reset ID. Once there you should find the option to provide you with a clean slate. 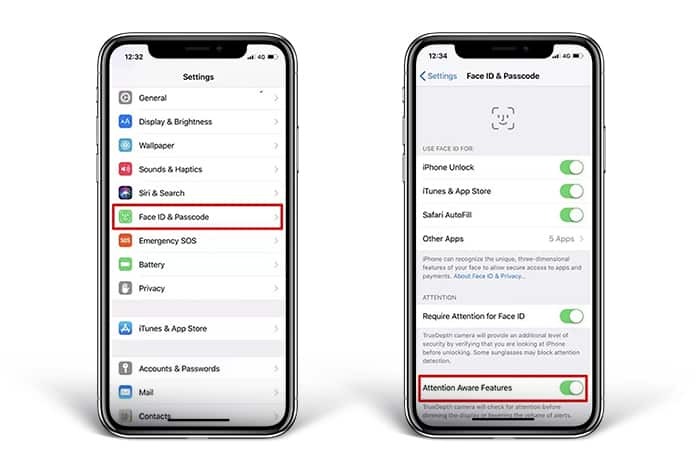 Face ID data can be used by third party developers as well as by certain applications. This can be a violation of privacy and many users would want to safeguard their private data. 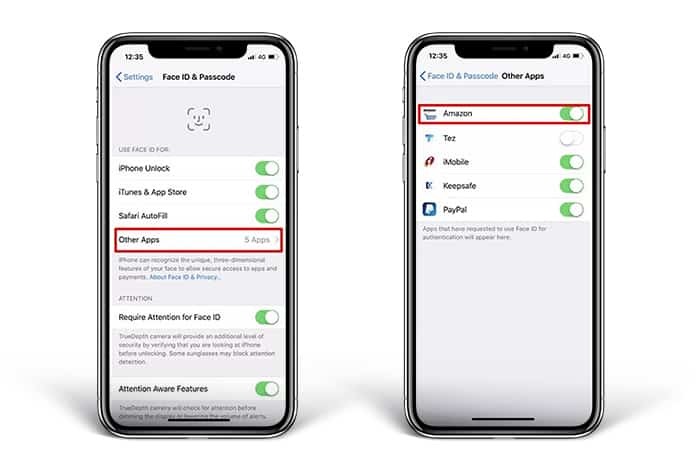 So, if you want to stop certain apps from using your Face ID it is possible to do so by using the Settings app. Just go to Settings -> Face ID & Passcode -> Other Apps. Once there, just disable Face ID for the app you want from the list of apps by moving the slider from green to grey. Those are all the useful tips and tricks that we found related to the iPhone X’s new Face ID feature. If you have any others you would like to share please share in the comments!